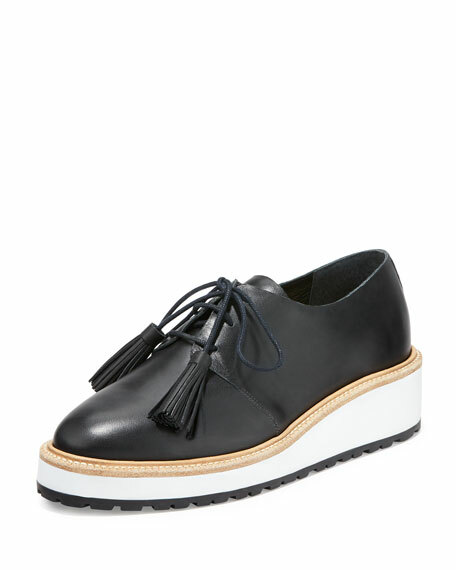 Loeffler Randall soft calf leather oxford. 1.5" demi-wedge heel; 1" platform; 0.5" equiv. 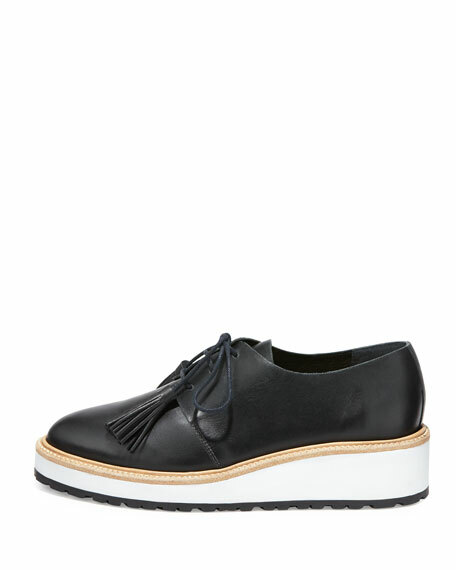 Lace-up front with tassel ends. For in-store inquiries, use sku #1663798.